If you need a device that lets you create precise fades as well as be able to be creative with outlining, designing and styling, you need to get the best hair clippers for fades. These units offer not only the hair cutting ability to clean up on the sides but also the precision blades that allow you to make straight lines and produce gradients of varying degrees. This gives you both flexibility and the freedom the trim the way you want to. Our list below covers devices that work both in the salon or barber shop setting, as well as for home use. Depending on what your purpose is, you can choose the type that fits your needs. The accompanying reviews will give you a good idea on what each item can do to help you make your decision. 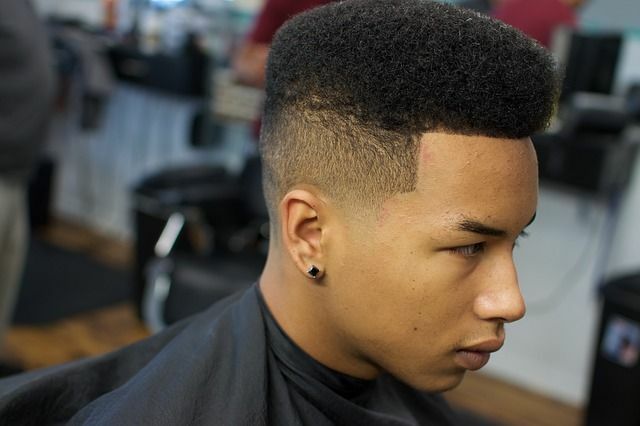 The smooth, clean look of a great fade may seem complicated to do But, it isn’t as difficult as you may think. At least, not if you know what you’re doing. The key to getting the perfect fade is knowing which blades to use at what part of the hair cutting process. It also takes practice. The latter is up to you, and you’ll need to do it quite a bit to get the proper feel of how to control the clipper as you go up the sides of the head. The video is a great tutorial that will help you do the perfect fade at home or in your barber shop. Use the lower guard sizes to get the shorter cleaner cuts. To smoothen and even out the edges, especially at the bottom, use the higher guard sizes. If you want to make more intricate fades you’ll want to get hair clippers with more blade levels. Also, multiple guard sizes let you make more gradual gradients in the fades. Don’t forget to thoroughly clean your clippers after you’re done. This will allow you to get precise shaves when your next client comes. One of the most important things you should do as a barber or someone cutting other people’s hair at home is to clean, maintain and sterilize your clippers. This keeps them in optimum condition, so you get the clean, smooth, precise cuts you want. Just as importantly, proper maintenance allows your clippers to last longer. This lets you keep using your favorite clippers without having to spend money to get a new one. Finally, sterilizing the clippers is essential to keep germs or bacteria from spreading from one person to another. This is vital if you operate a barber shop or salon. After all, you want to practice good hygiene. And, give your customers the best possible service. Here’s a hair clipper cleaning and maintenance video that will show you all these things. Best Hair Clippers for Fades: This is a solid trimmer that offers durability and excellent cutting ability. It works great for shaving your face as well as your head, giving you pretty much the closest cut you can get to a razor blade. It also excels in outlining as well as doing fades, which is one of the reasons you’ll often find barbershops using this particular model. Many of the professional barbers do modify the T-Outliner to suit their own preferences and how they want it to behave, something you have the option to do so as well. The unit is corded (8 foot long cord), so while it does need to be plugged, this feature also gives it the advantage over cordless devices in terms of power. The T-Outliner comes with a T-Blade you can attach to it for extra close cutting. This is a great choice if you’re looking for something to regularly touch up your fade, as well as use for your beard, mustache, as well as outlining edges. Its high quality fine toothed, carbon steel blades not only offer precision but also durability. The one thing about the T-Outliner worth mentioning is that it does tend to get hot after a while. The Magic Clip belongs to Wahl’s 5 Star Series line of clippers, which are designed for barbers and stylists. This unit comes with V9000 motor which offers the power needed to cut through hair. The motor also gives you something that’s very durable even with regular use. What’s unique about the Magic Clip is that is design to tackle Afro hair, as Wahl puts it. This makes it able to clip through even thicker, curly hair that can sometimes be a problem for less powerful units. The clipper comes with an adjustable taper with allows you to control the length of your fade. We like that the taper is easily adjusted using a level located near the thumb. This makes it easy to switch. Plus no blade changing needed. Overall, this clipper’s rust resistant chrome plated blades high precision cutting ability, and its easy adjustability make it a great choice if you want to be able to do fades, especially if you have curly or thick hair. This is one of the best clippers for fade especially if you want to clipper over comb as well as trim beards. They allow you to do freehand fades as well as tops. The unit is lightweight, and uses an aluminum exterior that allows it to have this feature. The material also makes it solid so you can expect to have and use it for many years to come. The device runs on a powerful 14,000 stroke per minute motor that smooth and quite. It comes with carbon steel blades and can be adjusted for different cutting lengths. The unit however, does not come with comb guides, so you’ll need to purchase them separately if you want to be able to cut and trim different lengths. Like the Andis T-Outliner above, this is barber shop proven, with many professionals and stylists using it. One of the main advantages of this is you know it can withstand heavy use and cutting, to the tune of 10 to 30 heads daily. The unit can get warm if you take your time like spending over half an hour cutting your own hair. But for shorter sessions you shouldn’t have any issues with the device getting hot. For heavy duty use and the ability to cut thick, tough hair, this is one of your best options. It is larger, and noisier than any of the units above, which is why we put it here. Also, it bears noting that it costs more than the others as well. That said, it packs a ton of power, and we’re not exaggerating. You can pretty much put any head of hair before it and it will take care of without any problems. The unit is also built solid, which is why it’s large and heavier as well. The device comes with interchangeable blades, which allows you to refine your cuts at different lengths. All you need to do is detach and re-attach the other blade. The unit does a great job for fades as well as balding. It also lets you cut both dry as well as wet hair. Note that the unit uses a single speed motor, so there’s no toning it down. And while you normally wouldn’t have to worry about that for clippers, you’ll want to make sure to always have a good grip on this device as it can get away from you due to the power. Overall, this is a great cutting device for balding, fades and any type of hair. Its size, heft, cost, and noise do provide some compromise. The best hair clippers for fades allow you to shave close as well as gradually increase length evenly. They offer the precision which lets the gradient be smooth instead of abrupt giving hair that nice look.